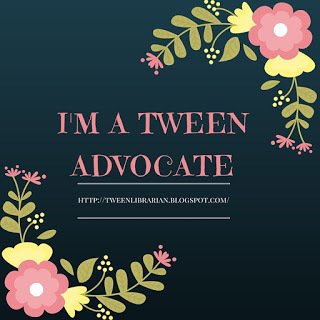 Tween Tuesday: Give Me Your Suggestions!! New Year's Reading Resolutions Giveaway!! About the Book: Hazel has never had a mother. Adopted as a baby, her adoptive mother died shortly after and Hazel was shuffled from relative to relative growing up without a true home. So when Hazel is granted a gift of magic dresses with the power to make wishes come true, Hazel wishes she had gotten the chance to know her birth mother. Now she's transported to a time where she can make everything right. But will her journey to the past forever change her future? GreenBeanTeenQueen Says: Wishful Thinking is a lovely magical book. The story has the feel of a fairy tale and it's a quick read-perfect for a blustery winter day when you want to curl up with a magic tale. It's a quite book-there's not a ton of action, but there's magic and a sweet romance and readers are sure to enjoy it. Hazel is a character that you can easily like-she could be a depressing character who is down on herself, but instead she remains positive and maybe sometimes a bit naive. The story moves very quickly and it doesn't take long for Hazel to start making her wishes. The result is a story of a girl finding the family she always longed for-and maybe not in the way she always expected. Hazel finds herself on the island of Martha's Vineyard (a magical place itself) and the people she ends up with are a group of people I would happily spend time with. I wanted to go to their parties and hang out on the beach with them-the cast of characters is one you'll want to step inside the book and be a part of. There are some plot twists that while I figured out early on were still well done and I'm glad they were there-it kept the story from being too cookie-cutter. Hazel has a interest in photography and it's her time on the island that helps her develop her skills. She's given support and encouraged, but it never comes across as cheesy. Even Hazel's storyline with wanting to meet her mom could have gotten a bit cheesy but it never does. Instead it's a sweet beautiful story about a girl and her three wishes. Wishful Thinking is a companion novel to Wish, but each book can stand on it's own and it's not necessary to read them in any order. Wishful Thinking is perfect for fairy tale fans and readers who want a little magic in their stories.